Illustrations Available as Digital Downloads. Contact me for custom orders. Travel the world through beautiful illustrations. Each design has its own story with a unique flair. From the mountains to the coastline, find that perfect print for you. Use code LOYAL2018 for 10% off your purchase! 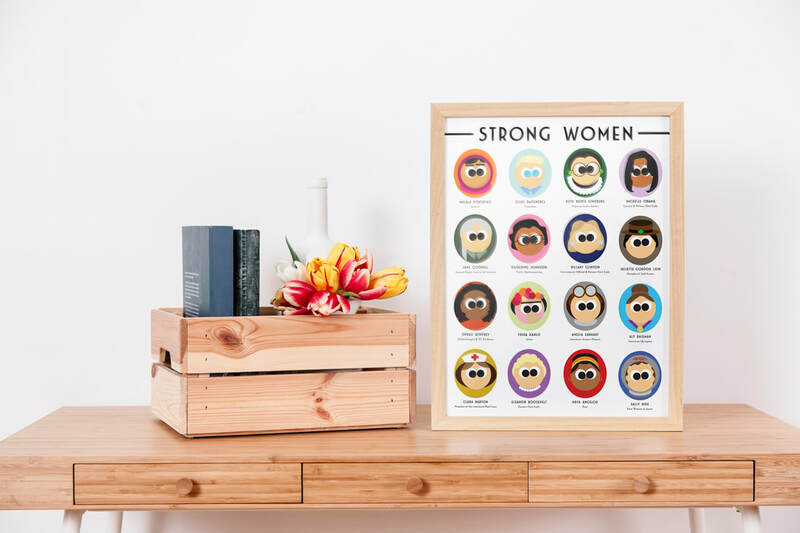 Debuted at the National Museum of Women in the Arts MakeHER Mart, this series features illustrations of strong women throughout history who have shown great character, defied odds, or were trailblazers in their field. Digital Method is about exploring the world around us through unique digital prints. Each one is hand designed by owner and illustrator Jen Jensen. Learn more about her story on the about page. Check out what's going on at Digital Method! ​Keep up to date by following us on Instagram and Facebook! Sign up for newsletters and special offers. © 2018 Digital Method. All Rights Reserved.